2017 started with the good news that Makerere University was re-opening on January 9th. The first Semester hadn't finished when the closure happened, so a few classes had to be finished, then the students had exams to sit (which normally would have happened before Christmas). Unfortunately for me I had to set questions for the third and fourth years and have recently been marking all their papers. With 56 and 68 students in each year class and 4 questions set for each paper, it took a while to get through them! Just after Christmas my parents came for a visit, and were able to travel with some fifth-year students, Emily and I to Jinja where we were able to participate with a community outreach program organised by our friend Kendra. Kendra rescues dogs in the Jinja area and aims to help get them neutered, vaccinated against Rabies and rehomed. A connection from the states Zina, who runs a charity called 2-4 Life Project, which helps children and animals in Uganda had linked up with Kendra and had been able to raise funds so that the program could happen. A number of animals in the local area were treated for different conditions. 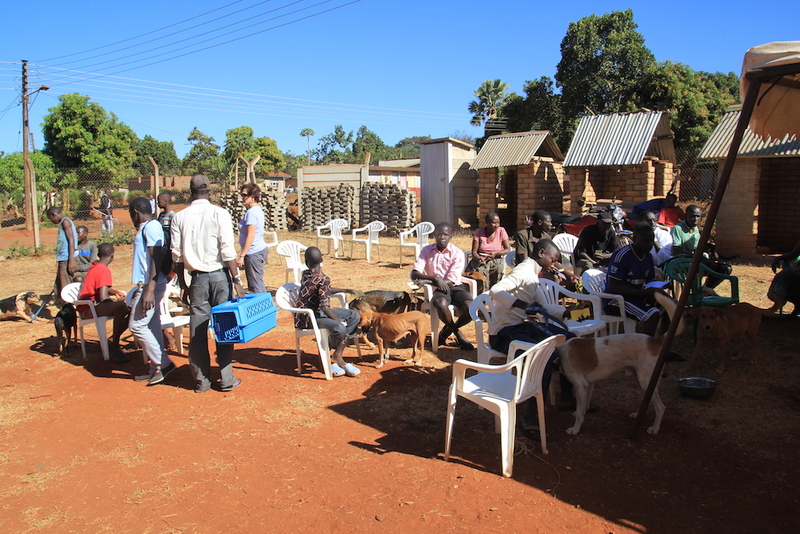 Some were neutered and over 120 dogs were vaccinated against Rabies. ‘Police' was one of the dogs we operated on, on the morning of the second day. She is a dog that was being cared for by some security guards in Jinja town and was actually well loved by the people around. She had had at least one litter of puppies. When Kendra was picking her up that morning, one of the shopkeepers said to her,” Where are you taking our dog?”. Kendra was able to reassure him that she would bring her back! Police’s spay surgery went well and she recovered and was returned to her ‘home’. Another young puppy of about seven months old was brought by some kids later in the day for Rabies vaccination. They showed me the dog’s scrotum. Someone had tied an elastic band around the base of the scrotum, it was tight enough that it had damaged the skin and there was a nasty infected ring of tissue, but it had not tied it tight enough so that the scrotum would have dropped off. I asked the boys when this had been done. They answered “Two months ago.” This method of castration is not ethical or advised in the dog as their scrotum is more attached to the body and it’s too painful. It’s used in sheep and goats when they are less than a week old. We didn’t know who had done this to the dog but we couldn’t let him go without helping him. The pup was anaesthetized and the elastic band was removed. the skin was smelling very badly so an incision had to be made all around the damaged scrotum. After the incision was made we had a surprise as the two testicles popped up from under the wound. Not only was the elastic band method very painful and nasty, it also had been done completely ineffectively but not even including the testicles in the scrotum! Thankfully the castration was uneventful and the wound closed nicely. The kids who brought the pup looked on anxiously through the window and they were very pleased to see him recover and wake up. Kendra was going to follow up with them and try to find out who placed the elastic band as she thinks there is a bogus vet operating around Jinja. If left the infection and chronic pain would probably have killed the puppy so he was lucky to be brought to the mobile clinic that day. 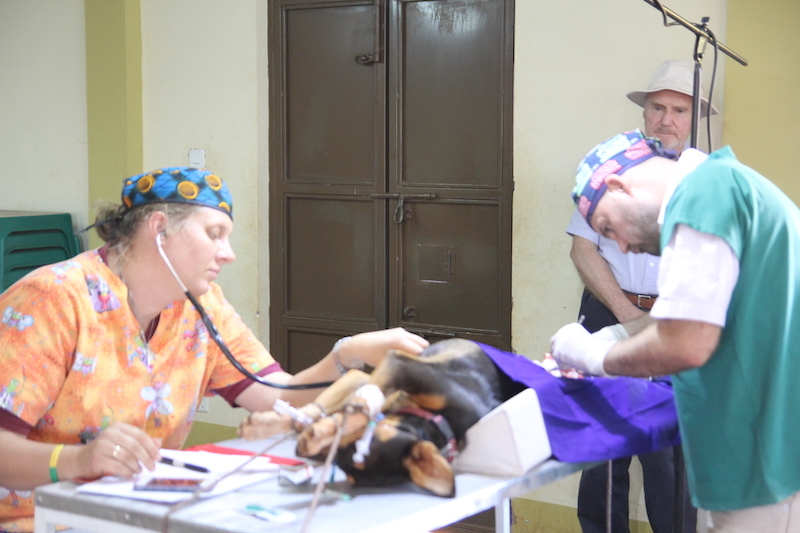 Another aspect of the outreach time was to invite local vets from the Jinja area to demonstrate dog spay and castration methods with sterile instrumentation, and safe anaesthesia practice to ensure surgical success. The aim was to encourage the vets towards advocating capture, neuter and release programs for stray animals, rather than the indiscriminate poisoning of dogs that goes on currently. 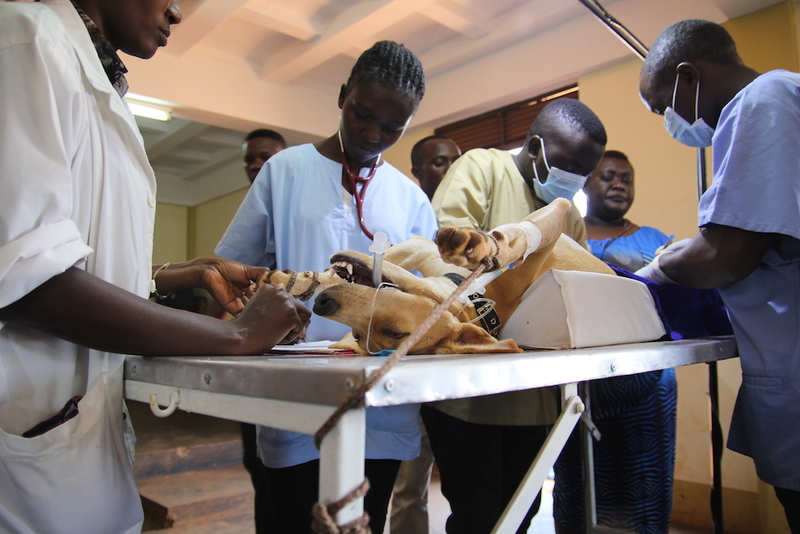 The vets were impressed by the professionalism of our students and were inspired towards doing more small animal surgery themselves. My parents enjoyed being part of the trip and got to know some of the students as well. 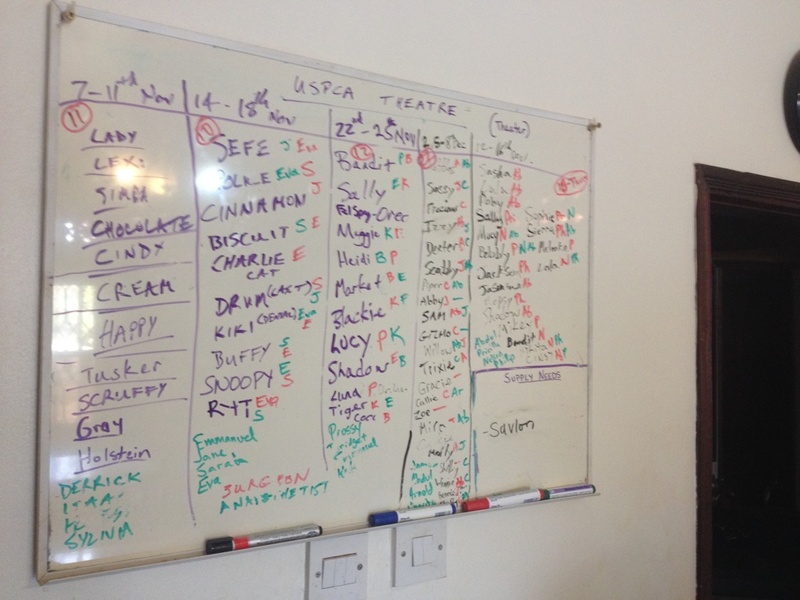 The USPCA Veterinary Clinic has recently been opened to the public and is gradually growing its reputation. 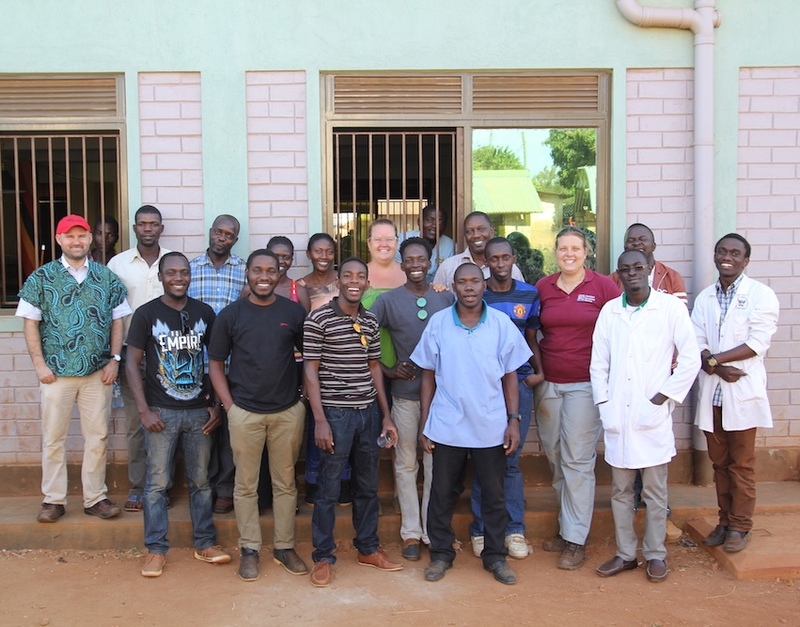 Dr Josephine, the new vet there, is gaining in confidence and during this time we have continued to have fifth year students attending the clinic and shelter for training. Working with Josephine at the clinic is challenging my veterinary skills. In the past month, we have had two complicated fractures that we have repaired. Something I haven’t done in years! 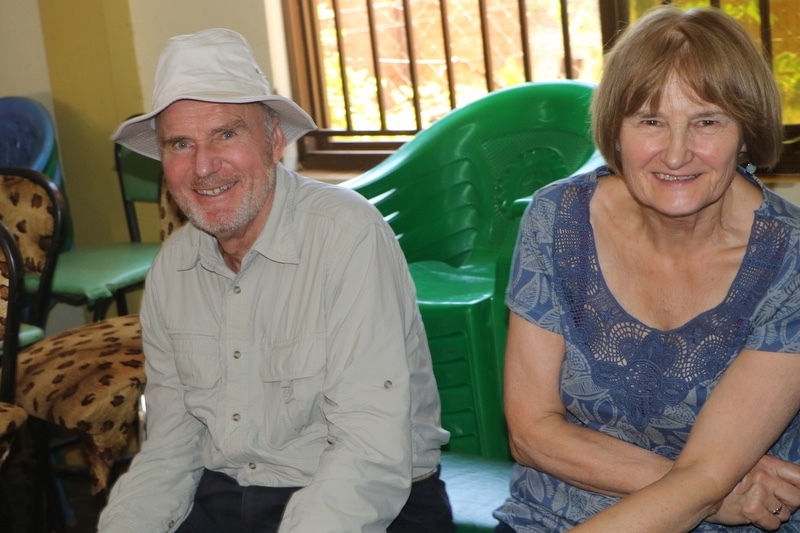 The team in Jinja. 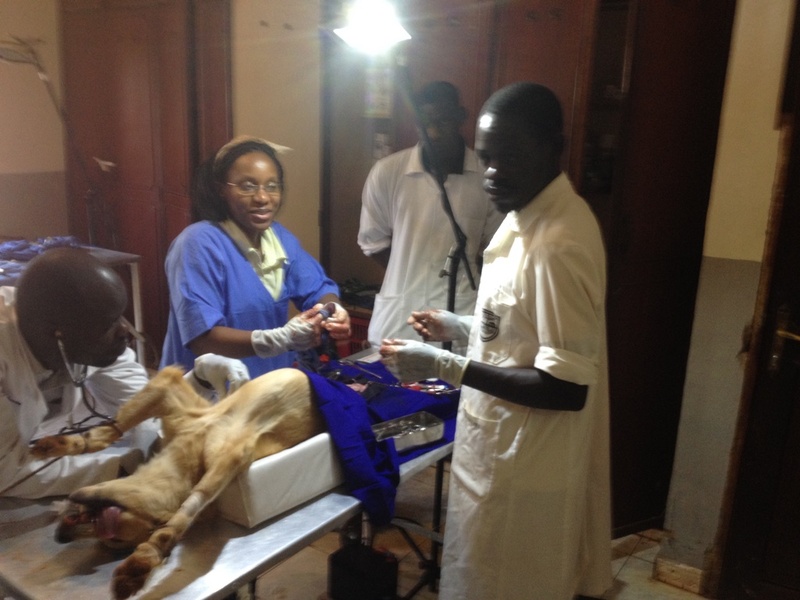 The students operate as the local vets observe. Dad watches on as we operate on the dog with the scrotal injury. Mum and Dad caught on camera. Owners arrive for the Rabies vaccination drive. Dr Josephine talking the fifth year students through a surgery at the USPCA. The list of operations performed in 1 month with students. 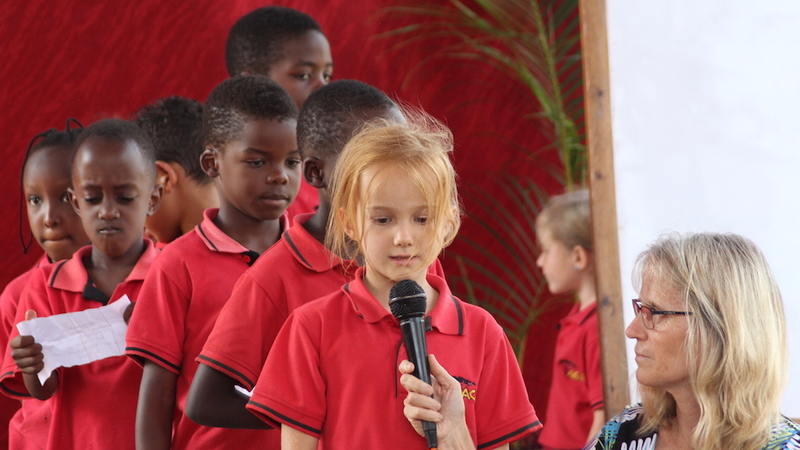 Acacia School is going through a process of becoming accredited as an internationally recognised Christian School. As part of that I have undertaken a course of study called the National Professional Qualification for Headship (NPQH). This is a UK based training, but much of the material is online. So far, I am mainly enjoying the challenge of further study, although I have to confess that I sometimes feel like a reluctant learner with all the coursework deadlines! 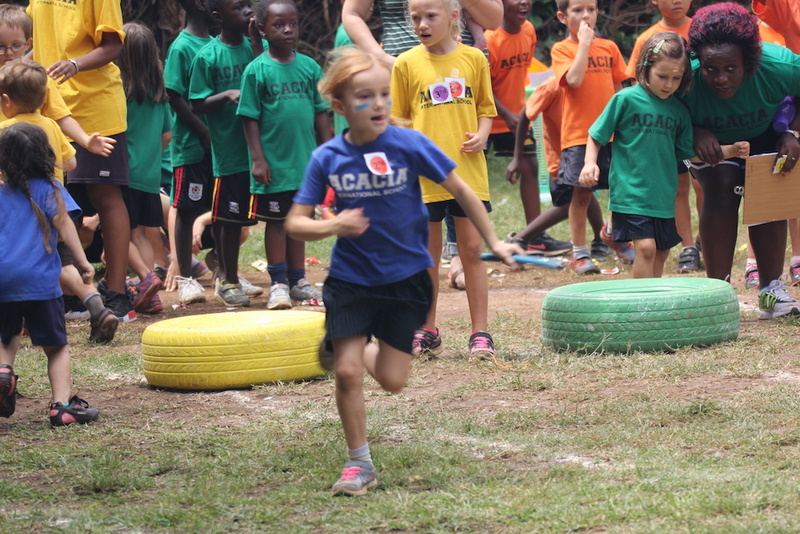 The Acacia Olympics were last week again. The four houses- Da Vinci, Galileo, Copernicus and Michelangelo battled it out with a variety of individual and team sports. Copernicus won overall but it was a great day of fun for the whole school. 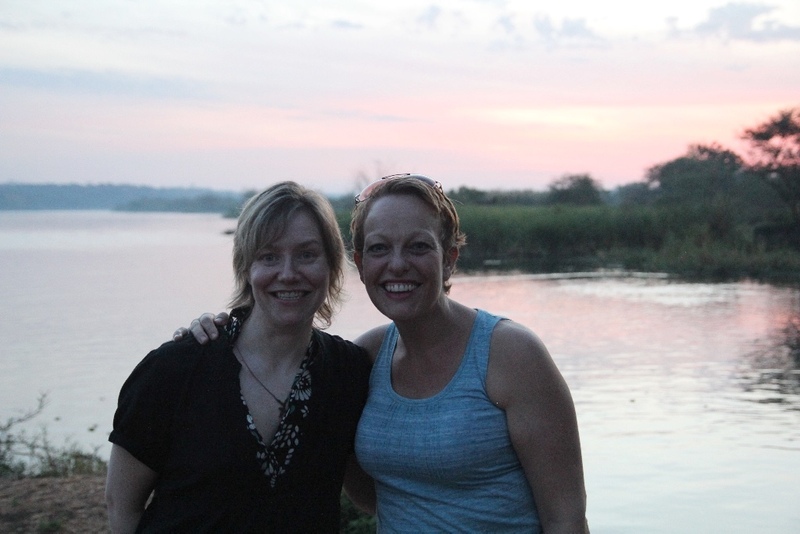 One of my very best friends, Sally came out to visit us in February and was able to see aspects of our life and work here in Uganda. She was also able to see a little of Kampala and the surrounding area. It was such a joy to have her here and spend time together. Claire handing out prises in recognition of good work at End of Quarter Chapel. 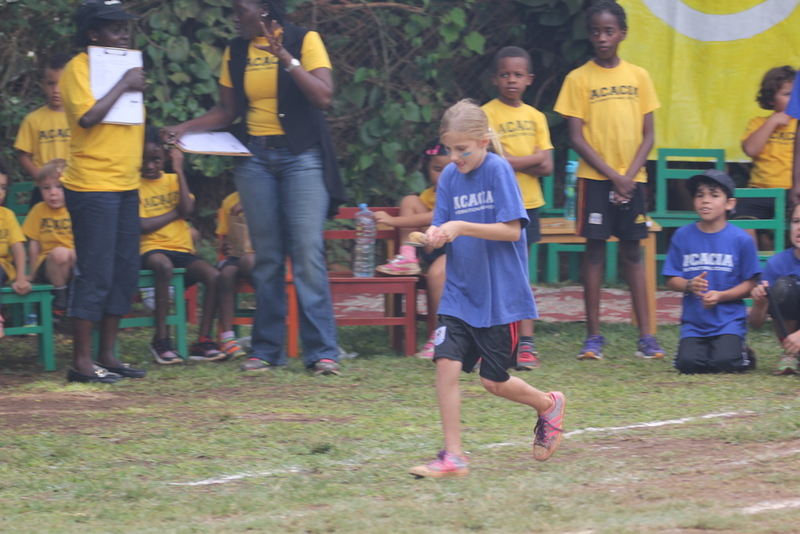 Jessica in the Egg (potato) and Spoon race. 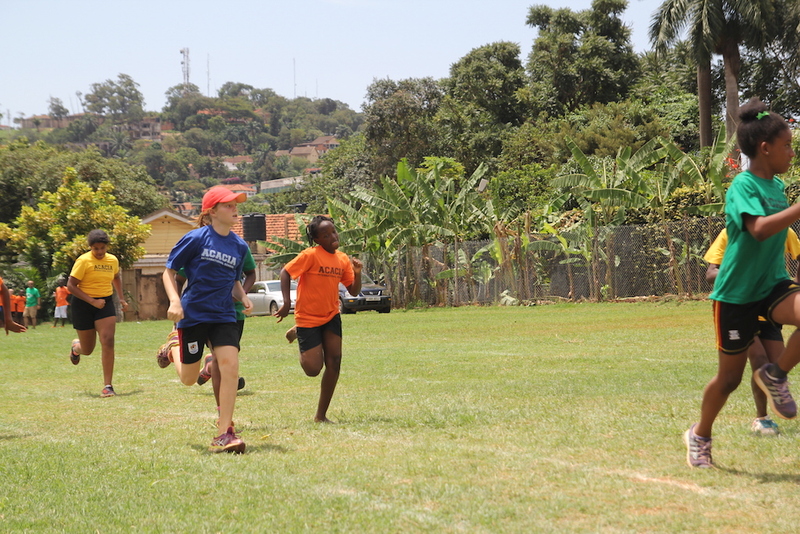 Florence in the relay, Ruby running the 100m. 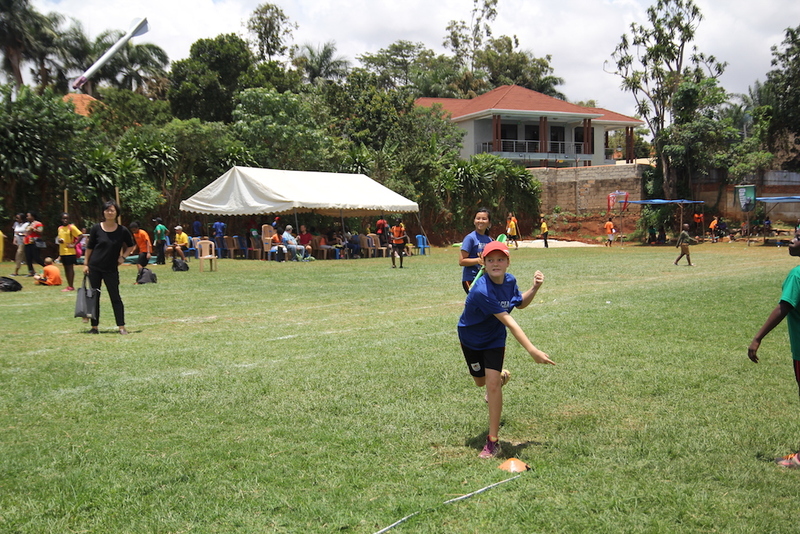 Ruby came second in the Javelin. Florence turns 7 and Book Week Fun! Florence celebrated her seventh birthday at the beginning of February. She had been asking how long it was since before Christmas! 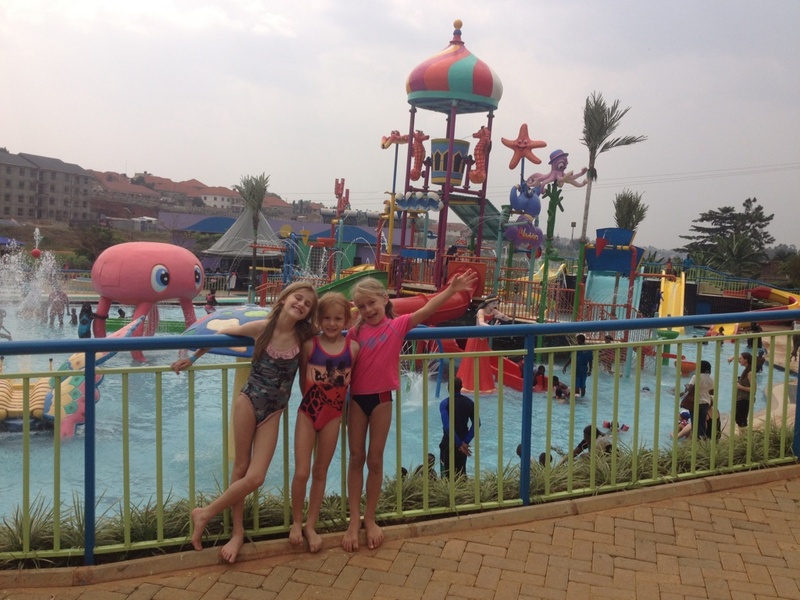 She had a nice time with friends visiting a new water park for children in Kampala. All three girls are learning the piano. Ruby is currently practicing for her Grade 3 exam in the summer. Florence is also learning the violin and we have a scratchy version of 'Jingle Bells' off pat. Book Week at Acacia is always celebrated in style. 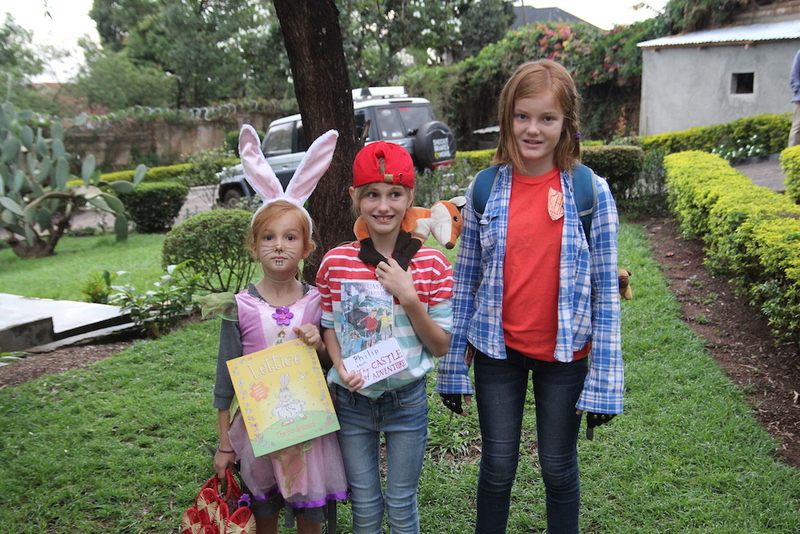 All three girls dressed up as their favourite book characters. Even the teachers took part! 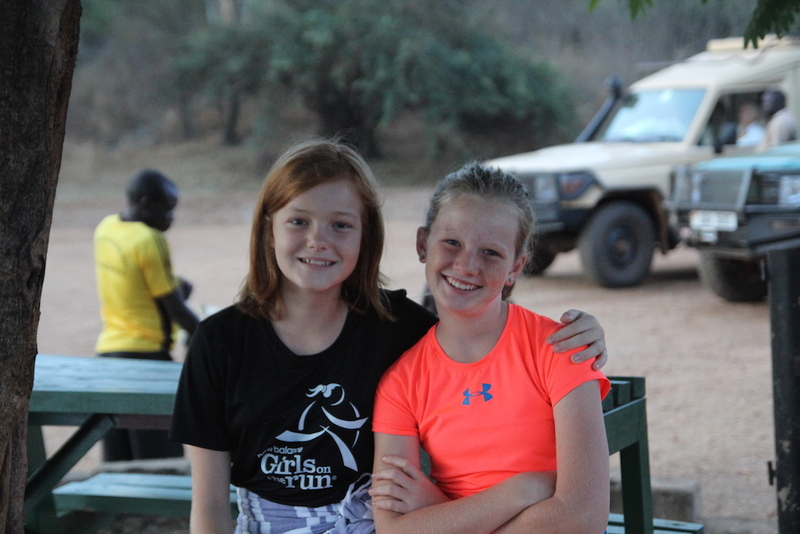 Ruby and Grace. 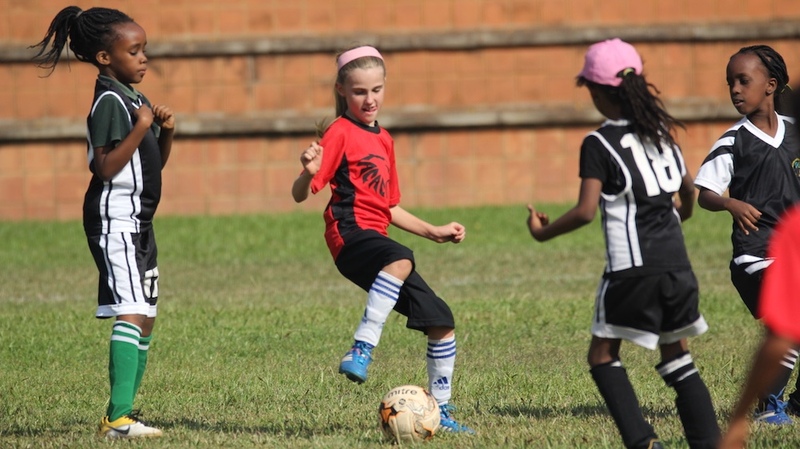 Jessica in the Acacia 9's and under Football. Florence reading her poem about God's power.Book Week- Florence as Lettuce the Rabbit, Jess as Philip from The Castle of Adventure, Ruby as Piper McLean from Percy Jackson's world. Florence's Birthday. 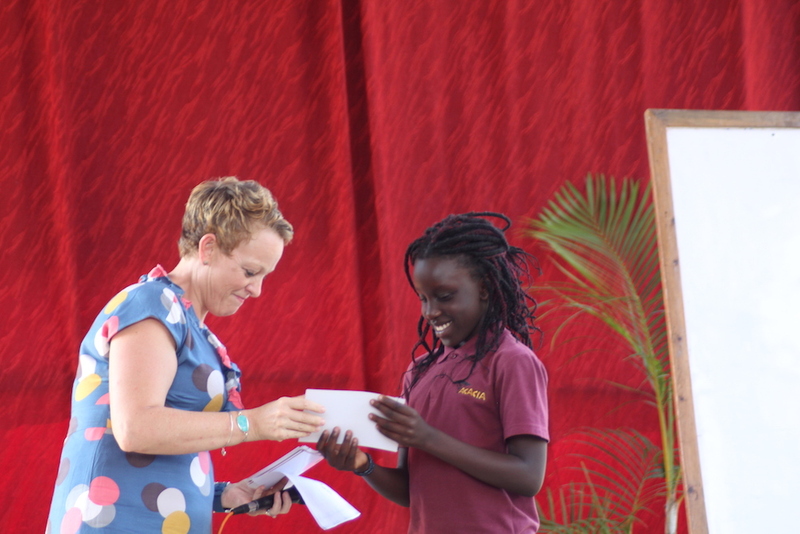 Give thanks for a good start to Claire's studies and the encouragement that learning more brings. Give thanks that Makerere University has re-opened and pray for continued good relations with management, staff and students. Pray for Dr Josephine as she balances being a new vet with the many needs of the USPCA, learning herself and teaching the students. Pray for James as he mentors and encourages her. Pray for opportunities for each of us to be intentional about incorporating and sharing our faith in our day to day work. Pray for health as Jess, Ruby and James have had bad coughs for a while.